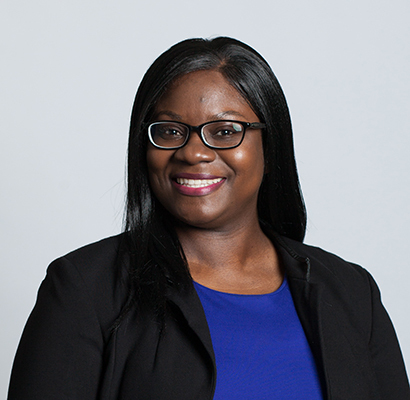 Valynda Jerome-Williams joined LSA in August 2017. Jerome-Williams specializes in a wide range of public interest work across various demographics. Her legal experience includes: serving as civil judicial law clerk, paralegal studies contract instructor, and clerking for the Middle District of Alabama Federal Defenders Program. A graduate of the Thomas Goode Jones School of Law (2016), she is also a licensed independent clinical social worker and private independent practitioner. While in Law School, Williams was named the 2015-2016 Distinguished Public Interest Fellow, was inducted into the Jones Public Interest Society, and received the Merit of Pro Bono Achievement Award. She also served as Senior Staff Editor of the Faulkner Law Review, and has earned numerous academic achievements. Williams also holds a Master of Laws in Advocacy and Dispute Resolution from the Jones School of Law (2016), a B.S. in Criminology and English Literature, and a Master of Social Work in Social Policy and Administration from Florida State University. Starting in the Montgomery Regional Office, Jerome-Williams transferred to the Mobile Regional Office in August 2018, and currently serves as Staff Attorney.